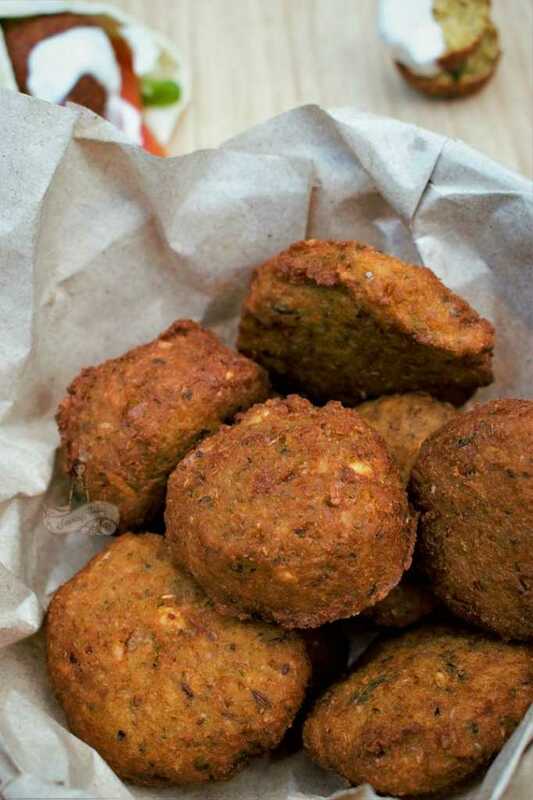 Falafel is a Mediterranean dish made by deep frying balls or patties made of ground chickpeas and spices. Usually served with hummus, it can also be stuffed in a pita bread with veggies to go in for a delicious sandwich! I have been wanting to make Falafel since long. However, I couldn’t. This time though I knew I had to give it a try for it is really simple and easy to make. So, I soaked a cup of chickpeas overnight and coarsely ground along with other ingredients. I used an ice cream scooper to get even shaped balls and deep fried them. 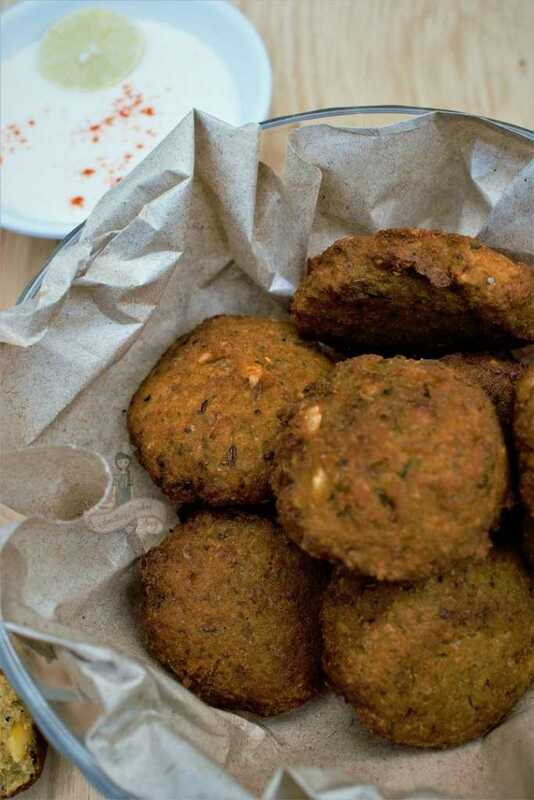 Falafel is crunchy on the outside and light and crumbly on the inside. It is said that you can use cooked or canned chickpeas as well. However, the chances are that you will end up in a mushy paste like that of a hummus than a coarsely ground mix which is desirable. It may also result in disintegrating the balls when fried. You can also flatten the balls into patties to be stuffed in a pita pocket. Easier to deep fry as well. For a healthier version, bake it! This recipe makes about 20 falafels. Unless you are having a get-together or a party, I know you wouldn’t be needing these many. 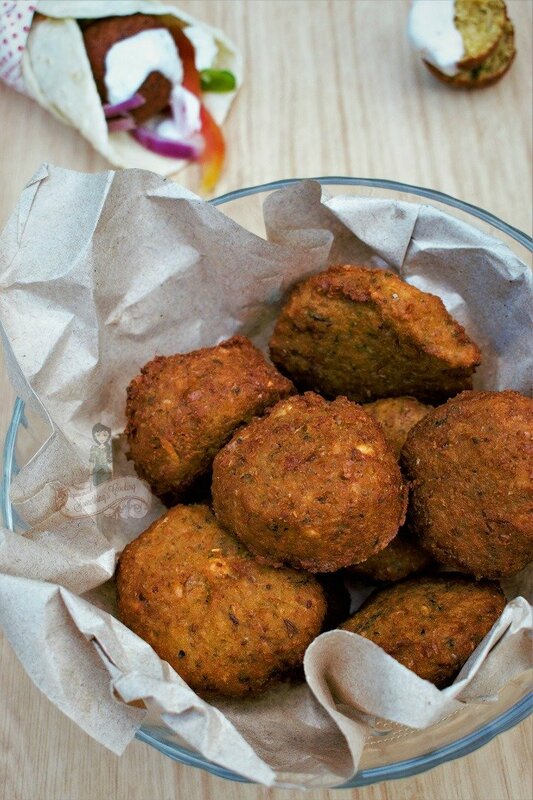 So, form the falafel balls, freeze it on a baking sheet, transfer to a zip lock packet and refrigerate for later use! Put them straight into hot oil and Tada! There you have it! 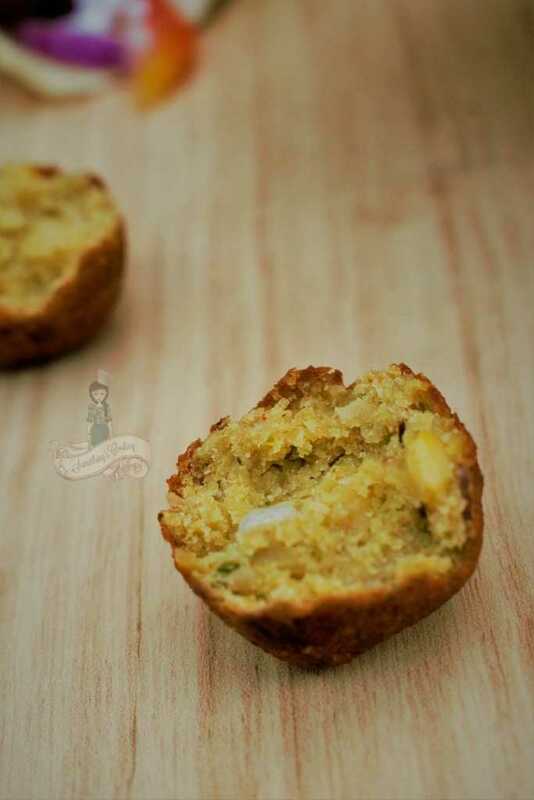 Perfect golden falafel for unexpected guests! Wash and soak chickpeas for at least 12 hours. Drain the water and pat dry. Pulse together all the ingredients except oil at regular intervals to get a coarse paste. Transfer to a bowl and refrigerate for an hour. Use ice cream scooper to make even shaped round balls. Heat oil in a pan and deep fry the falafel balls, few at a time. Cook till you get a deep golden colour. Serve with hummus/tahini sauce/yogurt sauce, or on a pita bread with veggies of your choice. It makes me feel kinda stupid for not trying to cook this simple and delicious dish! I served it with a yogurt sauce to balance the heaviness of the falafel. Whip a cup of yogurt with very little water, say 3 tablespoons. Add mince of one garlic clove, two tablespoons of lemon juice and a pinch of paprika or red chili powder. Add salt and pepper to taste. Whisk again. The yogurt sauce is ready. Serve as a dip or else, add it to the Pita bread. This sounds easy and fun. 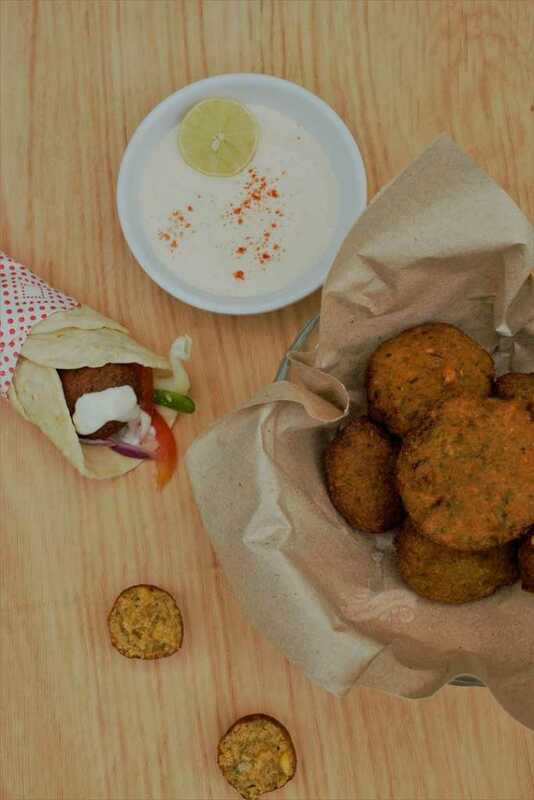 Next time, my brother asks me to fry some pakoras for him (while he catches on Football matches), I’m gonna make some falafels for myself too! I had tried falafel with hummus when I visited Dubai, didn’t like it that much, but after reading this post, I think I should give it a try. I love falafel especially in my wraps. I am going to try this recipe at home. Recipe seems simple and easy to follow. Thanks for sharing! Yum. Am hungry. I like making exotic things so will try this out sometime. Wow I love falafel and always wondered how to make them. Thanks a lot for this recipe. I am definitely going to try it.. The recipe is simple enough. Now I’m wondering why I haven’t tried it till now. Thanks for sharing. I eat Falafel so often, now I can cook them at home. Thanks for the recipe! Yummy and my favorite dish. Beautiful food photos. Thanks for sharing. happy to connect with for #MyFriendAlexa !!! These look awesome. I’m going to start my chickpeas soaking right now. Yogurt Sauce seems yummy. Its so simple to give it a try. Falafel is made of chickpeas..I never knew. 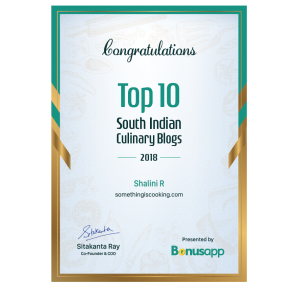 Thanks for sharing the easy recipe Shalini. 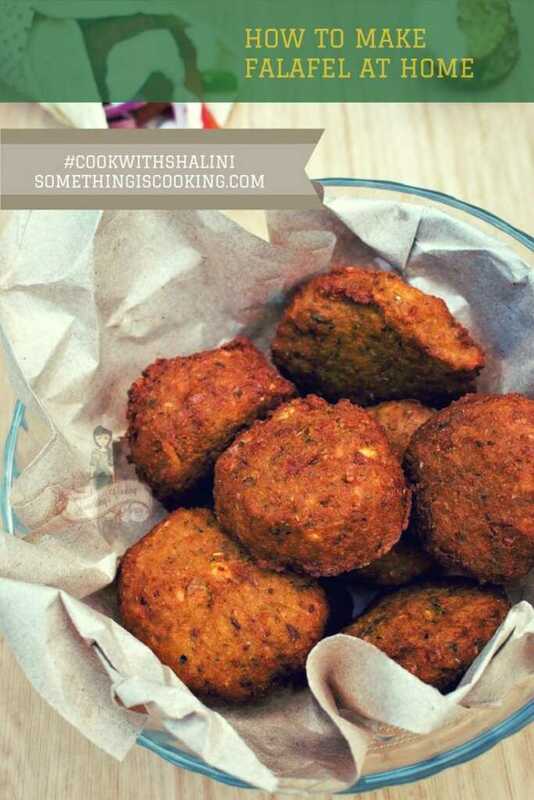 Thanks for the recipe Shalini, I love falafel wraps but haven’t made it at home yet. Will surely try this. I think I will try it out for the evenings when I don’t want to cook a proper dinner but like something that doesn’t remind me of the dinner menus at all! What I look for most in a recipe is how doable it is with my limited skills – this one seems fine except the fear of the patty disintegrating in the oil. I used to add bread crumbs but that changes the flavour. Will try to do it your way now. That yogurt dip sounds fab too. I never realized that uncooked farafel could be frozen. I love chickpeas. This is a delight. That looks so good and actually easy to make! I will definitely give it a try! I love falafel and I often is it as filling do Frankie’s, wraps. I like them as it is so versatile. We can have it as snack, as Patti, as filling. Wow Shalini, this is just what I needed. Wracking my brains on what to make for the kids lunch everyday. This should be quite filling too. Love the yoghurt dip. Best part is all ingredients are easily available. Also liked the idea of freezing the falafel balls and deep frying as needed. Living in Middle East this is one snack we munch all the time. Falafel and hummus. The epic combination. Hey Shalini ! Today you are on my reading list but I always read you every day!!! Thanks for the tip on using an ice cream scooper to make perfectly rounded balls. This will be handy in making dahi wadas too I suppose. 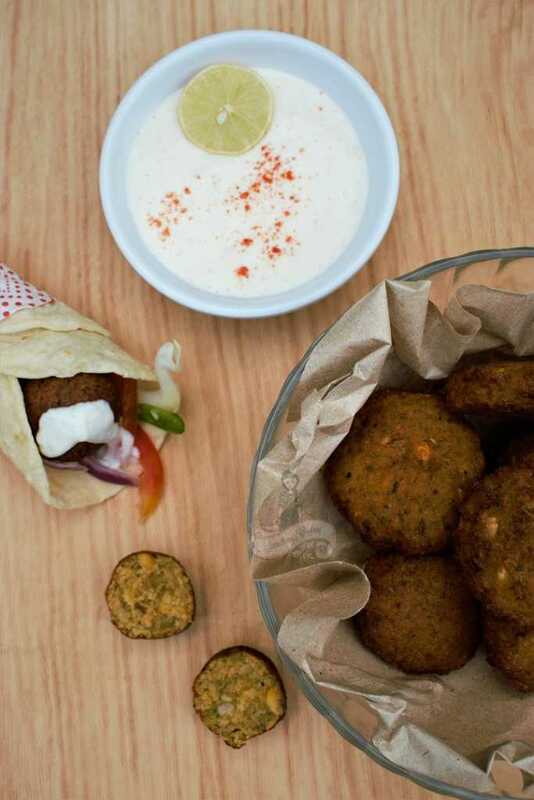 I personally don’t like falafel – too much channa and too much gas…..so I won’t be trying this recipe unless I have some vegetarian guests I have to impress. I was cleaning out my kitchen shelf and saw a handful of chickpeas in the contianer and soaked them; largely to clean the container 😉 Now I know what to make out of it – YAY!!!! I dont have parsley and will make do with coriander only. Love the tip about freezing them – that is super. I used to boil the chickpeas to make them and always ended up with a mushy paste that disintegrated in hot oil – thank you so much for this recipe. Now I know what I was doing wrong. Great tip on the yoghurt sauce too!!! Making this tomorrow for lunch and will share some pics with you on Insta! !